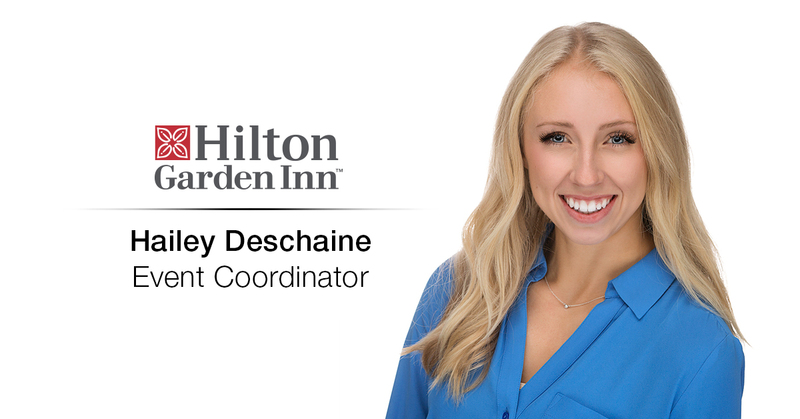 We are proud to announce Hailey Deschaine as Event Coordinator of the Hilton Garden Inn Wausau, a stunning property with the area’s premiere conference center totaling 8,000 square feet of flexible space for up to 350 guests and 108 deluxe guest rooms. Hailey brings turnkey experience and inspiration back to Wausau. She recently completed an internship in Tahoe City, CA, one of the nation’s foremost destinations for outdoor recreation, following her graduation from Winona State University where she earned a bachelor’s degree in Recreation Tourism. In her personal time, Hailey enjoys the outdoors, being active and spending time with family and friends. Ghidorzi is a fully integrated design build construction, real estate development, architecture and interior design firm with projects in Wausau, Madison and throughout Wisconsin. The Ghidorzi design build construction approach gives owners a single source of accountability for bringing their project vision to life. The Ghidorzi Hotel Group proudly serves the business, corporate and leisure travel needs of greater Wausau with a team of exceptional hospitality professionals across five best in class properties, including the Hilton Garden Inn Wausau, Courtyard by Marriott® of Wausau, Fairfield Inn & Suites by Marriott® of Wausau, Westwood Conference Center and the executive Apartments at Corporate Cove.